Planning a special event for a special day can be tough. Making decisions about the guest list, menu, location and entertainment can all add up to one big headache before the party starts. One wants to honor a loved one with a party and memorable time, but everything’s been done before. What options are there for weddings, birthdays and Bar Mitzvahs that aren’t silly, boring or just overdone? Instead of the same old party games and gifts for the special day, why not impress guests with a unique storytelling experience? Joe Castillo, formerly a finalist on “America’s Got Talent,” is an unusual and fascinating artist. He uses sand and light to create his unique visual tales. Musical accompaniment as he works enhances the viewer’s emotional involvement in the story he weaves. He creates each sand story customized for the recipient, so everyone will be a different experience. 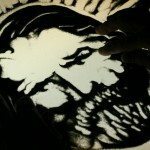 He can make a custom sand story video using sand art for sacred, private, and corporate events. What types of occasions are ideal for a sand story? 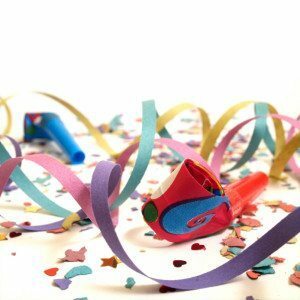 Any event that should be fun, celebratory, unique or moving is a perfect candidate. The customized drawings will honor any recipient. Birthdays are an excellent opportunity for Mr. Castillo to demonstrate his sand art. Birthday parties are about making the special girl or boy feel loved and pampered. Friend’s and family celebrate the life of that person and reflect on what he or she means to them. What better way to do that than with the original work of art created before his or her eyes? Young and old both will delight to watch the meaningful scenes take shape. Weddings are by nature are a celebration of a couple’s love story. Allowing Mr. Castillo to highlight key aspects of that story will delight both guests and the couples. Watching the pictures form, shift and change will encourage attendees to reminisce and enjoy. It’s a special way to sum up the couple’s romance thus far and point to their dreams for the future. A Bar Mitzvah or Bat Mitzvah is a special and sacred time. As a young boy or girl enters into adulthood, there is much to honor, remember, hope for and celebrate. Each new adult is a unique individual, and a personalized sand story shows that. It is also an important milestone, and Mr. Castillo recognizes that. His art will capture the whimsy of childhood while acknowledging the bright future and responsibilities that lie ahead. So often it can be difficult to find an original gift or party activity. Everything related to celebrations has become cliche. It may be the thought that counts, but sometimes even the event honoree thinks it’s boring. However, an individualized sand story by Joe Castillo can end the party rut. It makes a meaningful gift or a fascinating pastime for guests on that special day–a truly memorable occasion.